"The Boice Commentary" series combines careful scholarship and clear communication in a verse-by-verse and section by section reading of various biblical texts. Combining thoughtful interpretation with contemporary insight for daily living, James Montgomery Boice explains the meaning of the text and relates the text's concerns to the church, Christianity, and the world in which we live. Whether used for devotions, preaching, or teaching, this authoritative and thought-provoking series will appeal to a wide range of readers, from serious Bible students to interested laypersons. "Christianity has been the most powerful, transforming force in human history," says Boice. 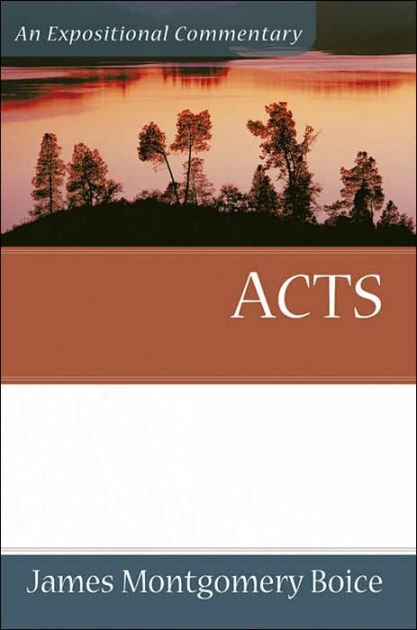 Acts : Boice Commentary by James Montgomery Boice was published by Baker in May 2006 and is our 26768th best seller. The ISBN for Acts : Boice Commentary is 9780801066337. Be the first to review Acts : Boice Commentary! Got a question? No problem! Just click here to ask us about Acts : Boice Commentary.